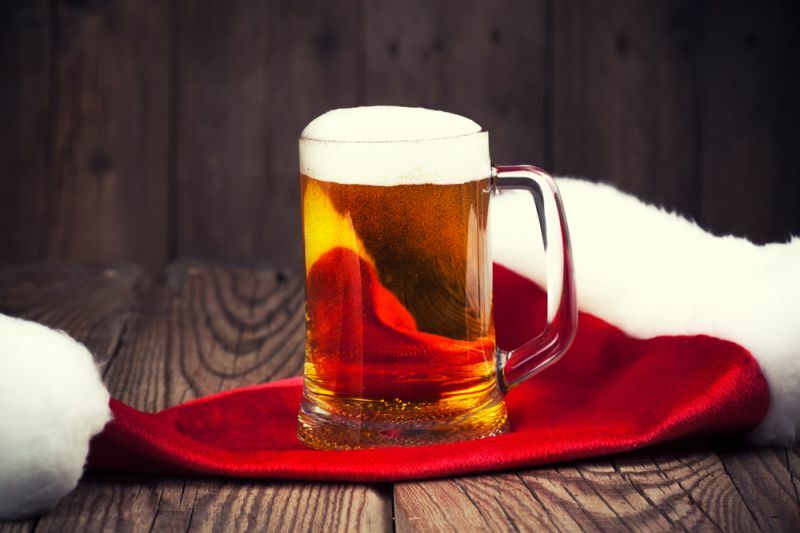 Newsletter: Tantalizing Holiday Treats… and Beer! Milk and Cookies or what Santa really wants with his snack? While not everyone celebrates the holiday season with Santa and stockings, almost everyone has treats that are made specifically during the winter. There are traditional sweets for Hanukkah, Winter Solstice, Christmas, Kwanzaa and Yule, as well as many of the other holidays that are celebrated throughout December. What kind of beer should I drink with my holiday treats? While many people prefer milk with their cookies, or wine with their chocolate, we have found that beer pairs well with just about anything, including traditional holiday treats! Fruitcake and Panettone pair well with a Chocolate Stout. The strong rich flavors of a stout need something just as strong and rich to accompany it. Anything less flavorful would just be overpowered by the beer. Coffee Ale pairs well with hazelnut or praline truffles. The rich coffee flavor offsets the nut and chocolate of the truffle. Think mocha with a shot of hazelnut syrup, and you’ll have an approximation of the flavor. Spiced Ale pairs well with gingerbread cookies, where the strong spices complement each other and meld together. Kolache pairs well with Brown Ales. The smooth caramel flavor of the ale complements both the sweetness of the dough and the tartness of the raspberry filling. If you find a specific beer and holiday treat that you feel go well together, let us know! Tap selection includes Pyro American Pale Ale, Roasted Coffee Ale, Fused Orange Blossom Honey Ale, Cranberry Shandy, Raj-Agni India Pale Ale and American Lager. This Friday (12/23) Soup Coupe will be here with hot and hearty soups and handmade fajitas. A big thank you to all those who brought in items for our Toys For Tots drive! Not only did we send a lot of toys in, but we also donated $100 to the cause. We couldn’t have done this without you! If you have questions, drop us a note via Email, Facebook or Twitter. Newsletter: Who is that guy?